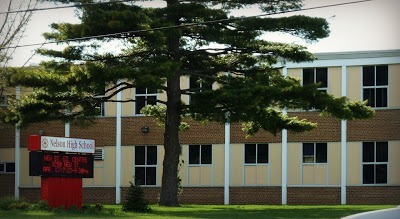 Burlington Central High School, which also houses Gr 7/8s. Burlington’s Program & Accommodation Review Committee (PARC) has identified six options to be presented at public meetings that name four Halton District School Board schools for potential closure, either on their own or in combination with one other school. The schools are Central & Pearson, Bateman & Pearson, Bateman, or Nelson. There is also a “no schools close” option. The PARC was struck to deal with 1,800 empty pupil spaces in Burlington secondary schools, and review options that could include closing one school, two schools, or no schools, with boundary or programming changes possible under each scenario. Ultimately, the PARC does not make a recommendation or decision, and at this point it is unlikely there would be consensus on any single option. The HDSB Director of Education will receive information from the PARC and the public, and make a recommendation to the Board of Trustees. By majority vote, the elected trustees will make the final decision. That is expected some time in May. The PARC is made up of two parents from each of the seven high schools in Burlington as well as each of the principals, a municipal delegate chosen by city council (the city manager), and one trustee (from Milton), with board staff providing information and resources. The group has met four times between Jan. 26 and Feb. 16 and deliberated on 30 options. A number of scenarios have been discussed throughout this time, with options discarded or refined based on input from the public, PARC members, board staff and others. There remain six options that will go forward to the public for review and additional comment at two public meetings Feb. 28 and March 7. Details of those meetings are below. There will also be an online survey for those who cannot attend the public meetings. The PARC will reconvene for further discussion on the options March 23 (with potential for an additional meeting to be called). PARC meetings are open to the public to attend as observers, and begin at 7pm at the J.W. Singleton Education Centre at 2050 Guelph Line. French Immersion Program removed from Dr. Frank J. Hayden SS and Burlington Central HS. Hayden FI goes to M.M. Robinson; Central FI goes to Aldershot. Central (English) catchment expands east to Walker’s Line. Program Accommodation Review (PAR) will be required for the Burlington Central elementary communities. FI program added to Robert Bateman HS; English catchment expands west to Walker’s Line. FI catchment extends to Guelph Line. Gifted Secondary placement redirected from Nelson to Lester B. Pearson HS. Pearson catchment expands to include John William Boich PS and Kilbride PS. Burlington Central HS: Boundary expands to include areas east of Guelph Line. Nelson English catchment expands to include Robert Bateman HS. M.M. Robinson English boundary expands to include Kilbride PS. RESULTS: By 2020, there will be approximately 231 available pupil places overall; south of the QEW will have a 145 available pupil places and north of the QEW to have 86 available pupil places. Overall a reduction of 1,512 secondary pupil places. Utilization to increase between 91% and 97%. Removes capping from Dr. Frank J Hayden HS and reduces catchment. Lester B. Pearson HS to gain the IB program and Gifted Secondary Placements. Pearson HS catchment expanded to include Kilbride PS, Alexander’s PS and John William Boich PS south of Upper Middle Road. M.M. Robinson HS English boundary to expand to include Florence Meares PS west of Walker’s Line. Dr. Frank J. Hayden SS: English boundary to exclude a portion of Florence Meares PS and a portion of John William Boich PS and Kilbride PS. Aldershot HS: Boundary to expand east to Brant St; Nelson HS: Boundary expanded west to Brant Street. 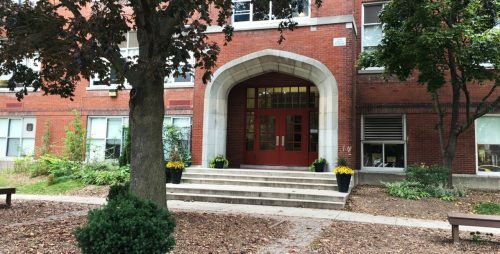 210 empty pupil places at Aldershot Elementary PS to be added to the Secondary school capacity; Aldershot HS: Utilization rates increase to 142% by 2020, then expected to decrease. Utilization rates will decrease with the addition of available pupil places from the elementary facility. (NOTE: If Central closes and if 7/8s at Central are also transferred to Aldershot, that will consume the above-mentioned 210 empty pupil places at Aldershot Elementary PS, leaving Aldershot HS still overcapacity requiring portables. Depending on the projected year, there are 244-291 7/8 elementary students housed at Central HS). 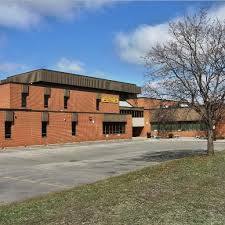 Program Accommodation Review will be required for the Burlington Central elementary communities. Extended French program added to M.M. Robinson HS. Nelson HS: Utilization rates increase to 80% by 2020, then expected to decrease. Robert Bateman HS: English boundary expands to include all of the Frontenac PS catchment; Bateman French Immersion program added and includes students east of Appleby Line and south of Upper Middle Rd and Frontenac PS students. Robert Bateman HS: Utilization rates increase to 88% by 2020, then expected to increase to 2025. M.M. Robinson HS: ENG boundary to expand to include Lester B. Pearson HS. FI boundary expanded to include Dr. Frank J. Hayden SS, excluding area south of Upper Middle Rd and east of Appleby Line. M.M. Robinson HS: Utilization rates increase to 103% by 2020, then expected to increase in 2021. Dr. Frank J. Hayden SS: Becomes an English-only school; English boundary to shift north of Upper Middle Rd. Dr. Frank J. Hayden SS: Utilization rates decrease to 109% by 2020, then expected to increase until 2021.
International Baccalaureate (IB) program relocated from Robert Bateman HS to Burlington Central HS. FI program removed from Dr. Frank J. Hayden SS. No change to the Aldershot HS catchment. Total enrolment is under 500 students. Burlington Central HS: Boundary expands to include areas east of Guelph Line. Utilization rates increase to 90% in 2020 and continue to increase until 2024. Dr. Frank J. Hayden SS: Becomes an English-only school. The above options will be presented at two public meetings, one in the North and one in the South. There will also be an online survey for those unable to attend the meetings. The purpose of the public meetings is to share the work of the PARC to date, and to explain the process for gathering further community input. The same information will be presented at both meetings. I encourage all residents of Burlington – whether or not you currently have children in school – to get involved in this discussion, review the options and make your views known. Each of the options has impact, for better or worse, and what happens in our neighbourhoods should concern us all. As a member of the PARC (one of two parent representatives for Central High School) I am looking for the best option that addresses the issues raised by the board and ensures that all of our students in the city are better off for the long term. You can share your feedback directly with PARC members at the email addresses below. You can also leave a comment for me below. We’re infilling to increase density and at the same time closing schools. Are we looking for Burlington to become an adult-only community? Increased density is creating major traffic congestion and, with planned new high rises, that problem will get much worse. If families move into our denser neighborhoods, will we increase congestion still further by busing their kids to school? Surely school boards should first be family and child friendly. I’ve been around long enough to see their extrapolations go wrong in the past and to be suspicious of their priorities and very much so of their bigger, better schools that are neither. My belief is that the thinking is very shallow! They close schools, and then within a very short time they are building new schools. Go figure, one step forward, three steps back! With our “open door” concept of accepting migrants who believe in large families, we are going to need schools!! Unless of course, schools are planned to be built to accommodate different languages and cultures?? Saying that, perhaps education will be taking a different path, in our “changing world”?? Option 7B makes sense after all they are not making anymore land and statictics change and this gives us the most feasible options. I was so shocked when I read that! Thanks for the detailed information. I am partial to no closures or option 4b or 23d. Love Central and how it’s theatre program and close community have helped my daughter overcome anxiety! Councillor – thanks for the update. While nobody likes to see schools close, 1,800 surplus seats is just not fair to the tax payers when we already have a budget that exceeds inflation. I’m sure the debate will be vigorous – as it should be. I trust the debate will account for current and future demographics. Schools south of the QEW are going to be challenged with future enrollments – the area is limited by the lake, house prices are rising to the point of being beyond the reach of many young families, and most of the new development is mostly condos (again not a fit for young families). There was a public school at the corner of Guelph Line and Glenwood School Drive, just can’t seem to remember it’s name. Anyway, it stood vacant for years after it was closed. It was finally torn down and a vacant lot has been there for years. I would think that the school could have been used for other purposes such as homeless shelter, woman’s shelter, turned into small shops, etc. But nothing was done. What a shame . It was Glenwood Public School. I went there from K to grade 6 with a short break to Clarksdale for grade 5. Complicated issue – great summary Marianne Meed Ward. Thanks to those leading the charge! There’s so much to say here but I think you all are covering most of it. There’s just 1 thing EVERYONE needs to think about …. You have a serious school bus driver shortage!!! This problem is NOT going away any time soon. I have been a school bus driver for over 12 years now and I LOVE my job. Plus I have 4 daughter’s who have attended 2 of these schools in question. Our class sizes are large in some areas and kids can Not get the help then require, therefore some are just slipping through the system. PLEASE think of our kids and the future kids best interest. Much of that problem could be resolved if the board valued neighbourhood schools. Instead they keep chopping up our schools and forcing students to go outside of their neighbourhoods, thereby needing to be bussed. It’s one more way the board is failing our kids. As a former student of NELSON, MMR, and Lord Elgin (now Bateman) HS’ s, this dismays me to no end! After moving our family to Alberta in ’79, we lived in south Edmonton when our 2 eldest were going to school. Steinhauer school was designated a “community school” thereby having all kinds of community events and activities at all times of the day. From Church services to scout meetings- -the property was really used and it’s worth to the “community” invaluable. Later, living in a small town, the same applied without the designation. With some forethought and imagination there’s no reason a school building couldn’t be utilized 24 hours a day- the fixed costs would already be applied. Call center by night? a classroom could pay for itself …. rehearsal space for a band…or even a recording studio. ..why not? IMAGINATION required? YES! Out of the box? SURE! Come on people- dont shutter them – UTILIZE THEM! Well said Steve. The fact that you’ve seen living examples of how this can work really says a lot. I wonder if anybody has taken in to consideration that the communities with highest family populations are located around Hayden, therefore the population of the high school is relevant? I bought a house in the mountainside area almost twenty years ago before kids. No kids have ever populated this area. We have (maybe) eight kids living on our street. At the most, this is the number of kids who have ever populated our street. Our children will go to MM Robinson. Touring the school this year for my oldest child, it is painfully obvious the low attendance records. Why is the school board allowing non-Catholic, out of jurisdiction kids to attend Notre Dame? This might solve some of those options. I also attended Pearson HS. I am not heartbroken they are closing this school. I don’t want higher taxes to keep schools open with extreme low numbers. I don’t think it makes sense for Central to close, but if Pearson closes because of it’s proximity to MM Robinson, then I think Nelson and Bateman should also be apart of that grouping. Most of the high schools have history, especially those who are passionate about the history. Nelson could be a great candidate to close. I think it’s an important option. Many people are moving to Burlington from Toronto areas because of the housing market, the lakeshore area and the small town vibe. Housing prices have gone through the roof, making it impossible to move when you become empty nesters, relying on the equity of the house to compensate for retirement. I think that Burlington needs to stop saying yes to developers, and stop building for now. It’s losing it’s quality and now drowning in its quantities. School closures are totally unnecessary and only happen because school boards are putting dollars before our kid’s best interests. Yes, some schools aren’t filled to capacity so why not get creative and put other programs in there, for ex. for seniors. Making them a community hub would benefit the community and the kids. Option 7b: No schools close; Dr. Frank J Hayden HS Boundary Change – I believe this is option to choose. It will keep all communities intact and room for future growth. This is sad for the fact the board did a mistake and built a bigger/better school,that the little schools suffer. Not just that Bateman has the special needs program, can’t imagine putting a special needs kid on a long bus ride to and from school. There are special needs kids in every school, not just at Bateman. There are autistic students, students with mental health issues like anxiety and depression. Students with ADHD. These students would all be affected negatively by longer bus rides. There is no proposed option out of these scenarios that would send these students on a longer commute than one that includes the closure of Central. The big picture needs to be considered here. Please support Nelson by attending the meeting on March 7th. Have your voice heard in person. You can also do the PAR survey https://surveys.ipsosinteractive.com/surveys/25b6acb2-de68-11e2-a28f-0800200c9a66 to have input in the decision-making process. I am not sure of the reasoning behind these closures, but with so much building for density, these days — just where are the children going to go to school? Or, are one and two bedroom condos going to become a kind of “population control” with childless, or one child families? Just stating the obvious conclusion to this kind of thing happening all across Canada. None of this makes any sense! It seems to be a shameless land grab by developers with an “agenda”. It’s not developers but who are behind the plan to close schools. It’s the school board who would greatly benefit dollar wise from selling these chunks of land. Denise Davy But, the developers would buy the land and develop it. It is happening where I live on the West Coast too. This makes me sad as a past central student and ashamed uh live in a town that just won’t say NO. To closing a school which they will need when they are developing around that area. Also would aldershot doesn’t have the room, nore sitting in a portable is horrible trust me I’ve been in one for school. This just makes me really sad to say I’m from Burlington right now. The board wants more kids to walk, and no car admissions in their lots… well good job no one is walking to school, and more cars on the streets that have issues already with volume.